Annecy, France (July, 2.017) – DAKINE’s backpacks are built to withstand serious abuse. Whether on the mountain, ocean, skate park or on the way to it, you need to rely on your gear. Dakine applies the same standards to street packs, offering styles that will carry all your essentials in a stylish and functional way. This winter, DAKINE steps it up a notch with the development of mini replicas for the youngest of the house. So boys can look as cool as their dads! The most popular street styles have been downsized in volume and re-designed to fit a smaller torso. Yet, they keep all the functionalities that make them essential to deal with concrete jungle missions. The Campus Pack – offered in 33L (RRPP £56) and 25L (RRPP £52) for adults – adds the Campus Mini 18L (RRPP £39) to the range, keeping the sought after insulated cooler pocket. A favourite sports/street hybrid, the Mission Pack 25L (RRPP £74), gets a 18L version – the Mission Mini (RRPP£43) – featuring the same board carry straps. Fans of the minimalist 365 pack 21L (RRPP £43) will find the 365 Mini 12L (RRPP £31) too cute to resist. The popular Wonder Pack 15L (RRPP £39) has seen a reverse process, adding two bigger volume versions: the Wonder Pack 22L (RRPP £43) and the Wonder Sport 18L (RRPP £43). 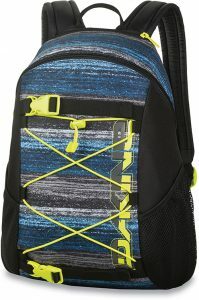 The latter is a more sports oriented design with breathable air mesh shoulder straps and back panel for those who like to fit in a quick hike or run in their busy day. 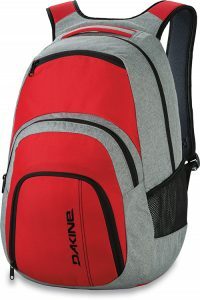 All DAKINE backpacks are available now at specialty retailers and online at www.dakine.com. Founded in Hawaii in 1979 and located at the base of Mt. 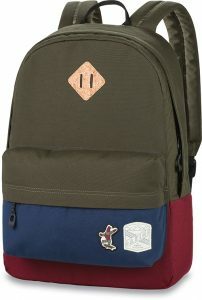 Hood in Hood River, Oregon, Dakine builds backpacks, travel bags, accessories, outerwear and clothing for people who surf, snowboard, skateboard, mountain bike, ski, windsurf, kiteboard and travel. 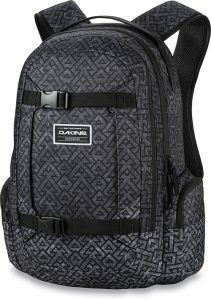 For more information, visit www.dakine.com.